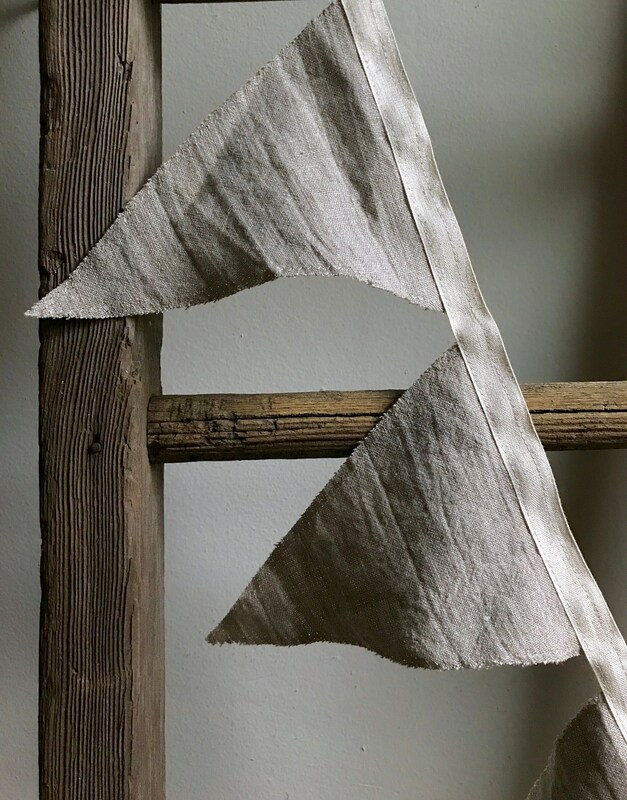 Each flag is made from natural linen and measures 6x8x8. 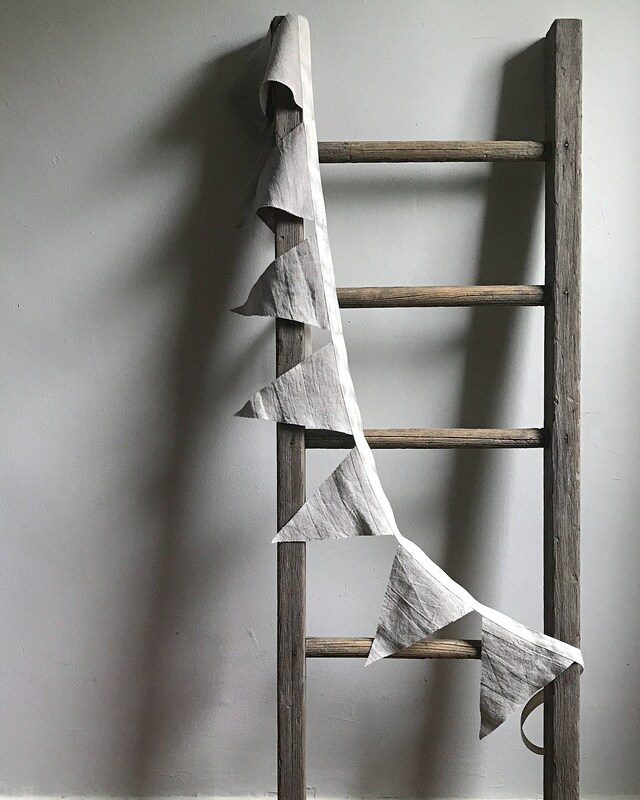 Sewn to linen tape that measures approximately 72 inches. Raw edge. 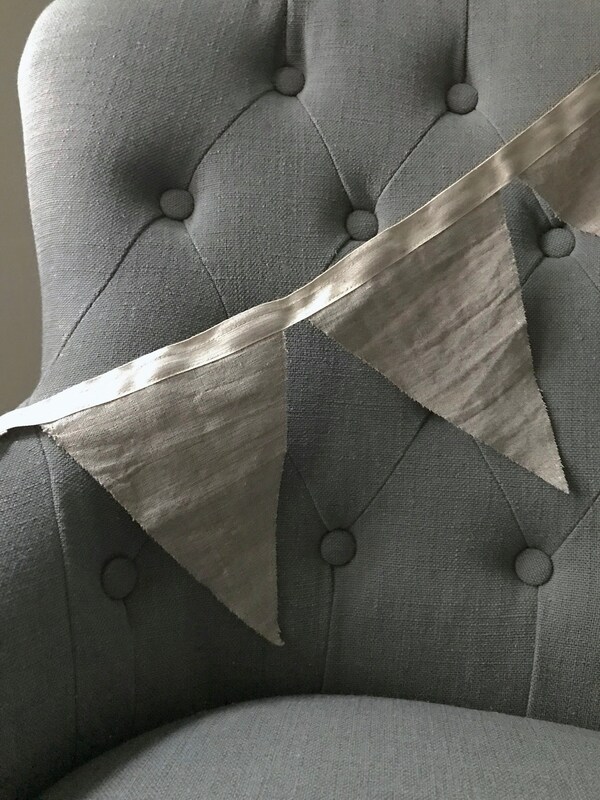 Top stitched to prevent unraveling. 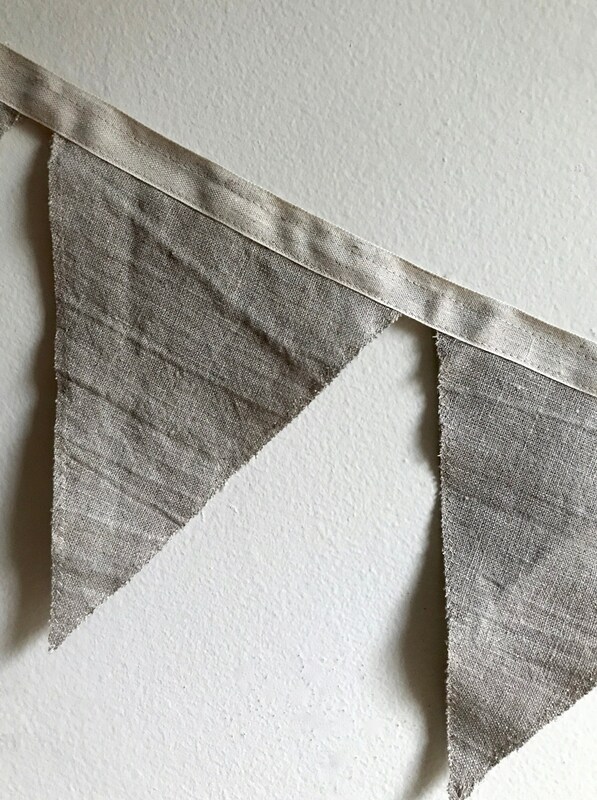 These buntings are made from the scraps saved from the linen products we make. If you'd prefer a different size or shape please send a message and I'm sure we can come up with what you need. Shipping within the U.S. is $3.75. If you're outside the U.S. just send us a message and we'll be happy to get a shipping quote for you.